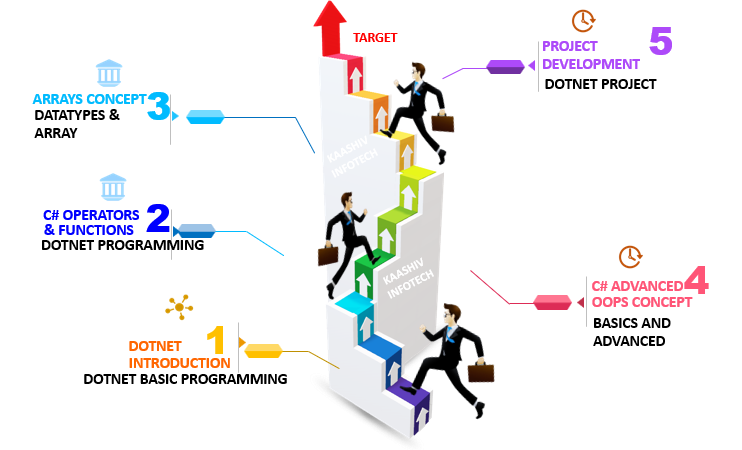 Why KaaShiv InfoTech Company to learn Dotnet Training in Chennai ? Kaashiv provides Best DotNet Training in Chennai with professional trainers who provide real-time training and also projects to the candidates for better understanding. Why Students Enroll for real time Dotnet Training in Chennai ? – Programming Types, Basic Programming, if condition, for loop, while, switch conditions, etc. Students undergone Dotnet training will be expertised as Dotnet Specialist and C# Programmer in developing their own Project. For Dotnet Training 120 concepts from Basics to Advanced will be covered. Students will be turned experts by getting training/writing Minimal of 100+ Programs Practically.